FAQ: What is a style tile? My newest client is currently using a Template at Yahoo Web Hosting. It’s typographic limitations, stock-photo images and unimaginative swashes makes it look like it hasn’t had enough attention. 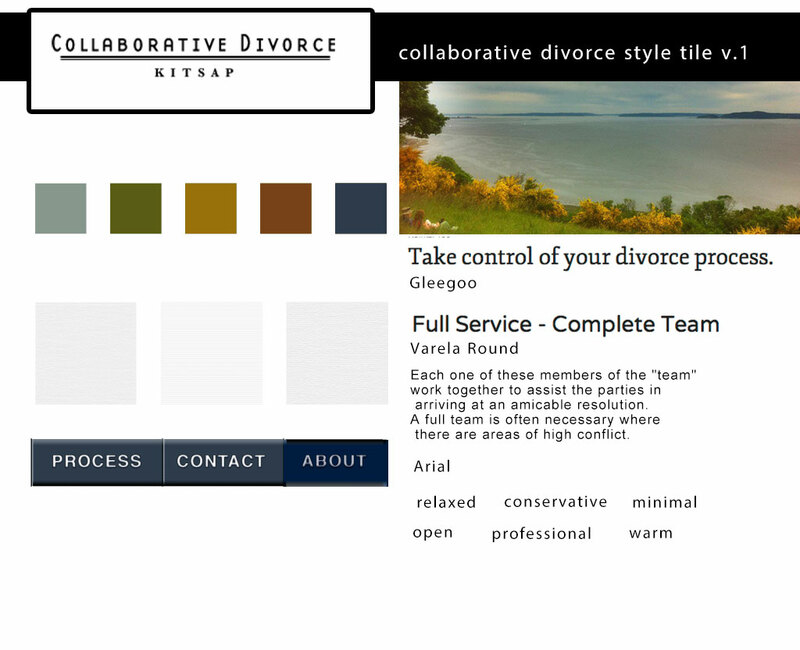 The website is for a Collaborative Divorce service, so I want it to look friendly, warm and professional, a solace for the maritally troubled, hence the warm color palate. I found this great photograph of the Puget Sound in my photographer-friend’s library. He’s allowed me to use it. I created the logo, as well. I used a modern typeface for the main part to convey a sense of “no stuffy-legal-b.s.” that a serif-ed font might convey. I used Baskerville to connote a sense of professionalism and history for the location word “Kitsap” (as in Kitsap County). The textures in the style tiles are really subtle (as they should be considering I got them from Subtle Patterns). They are very conservative– linen, paper and white paperboard. very recently deceased Walter Porteus, the funeral. list. As a family better or as requested by you. However much money is, then you can get too vague.